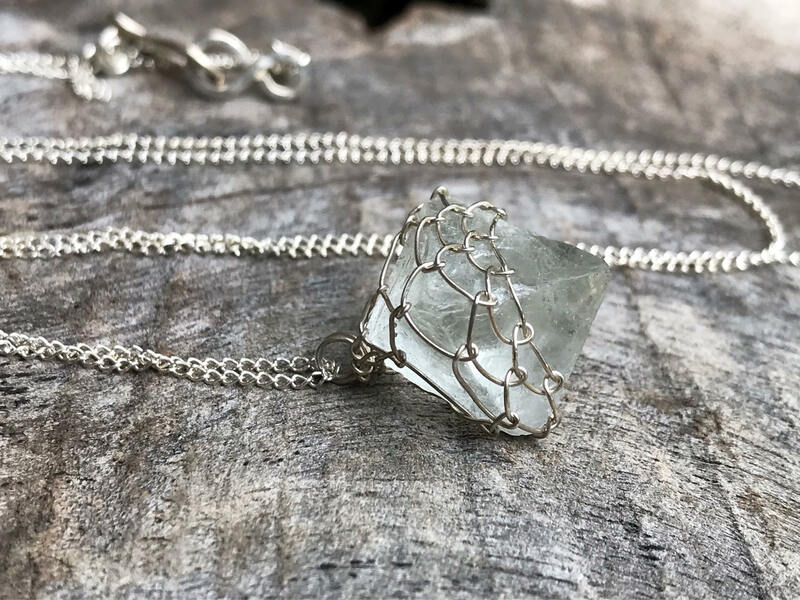 A luminous raw pale green fluorite octahedron crystal, nested in a solid sterling silver woven bezel. The design is reminiscent of cathedral windows and old world lanterns, centering on the beauty of the light that passes through the crystal. A modern interpretation of a beautiful relic from times gone by. 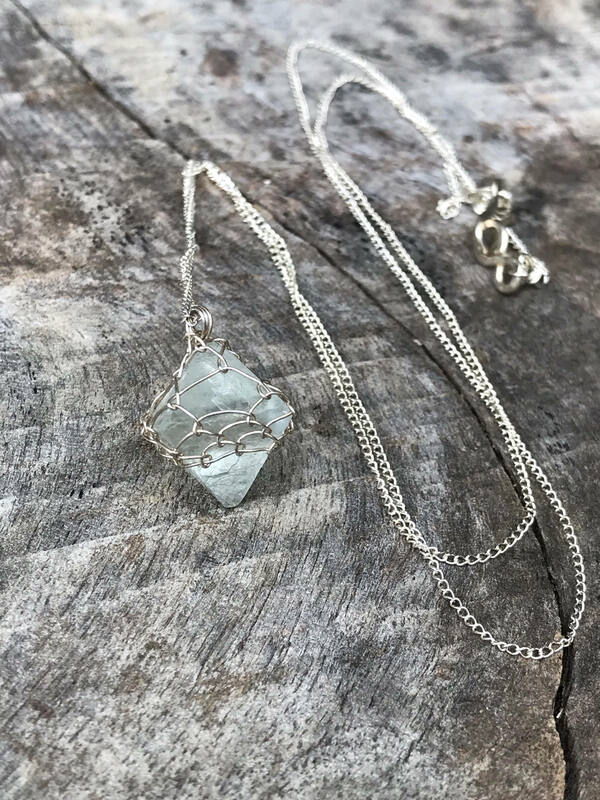 Dangling from a simple long sterling silver chain, it is captivating worn alone or layered with other necklaces. 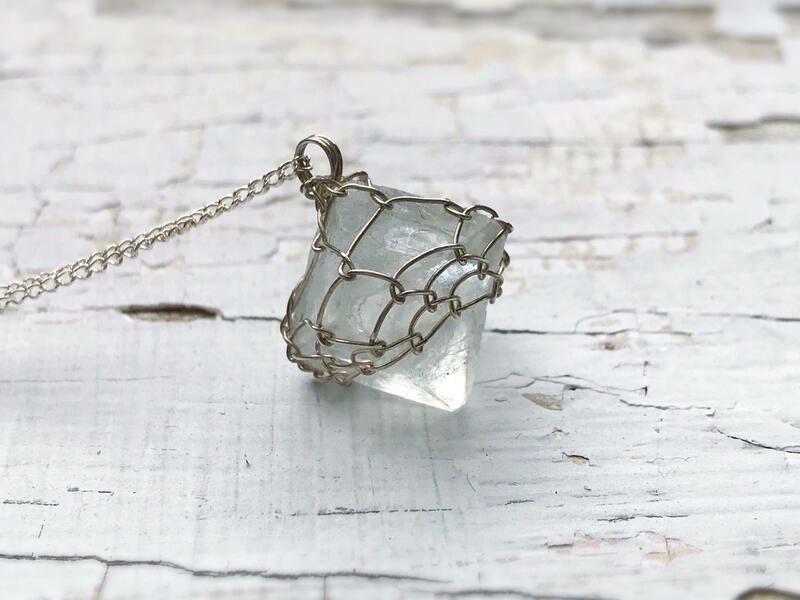 This fluorite is the most soft subtle pale green in color, appearing almost colorless or slightly yellow in some lighting. In natural daylight, it's soft green hue really comes to life. 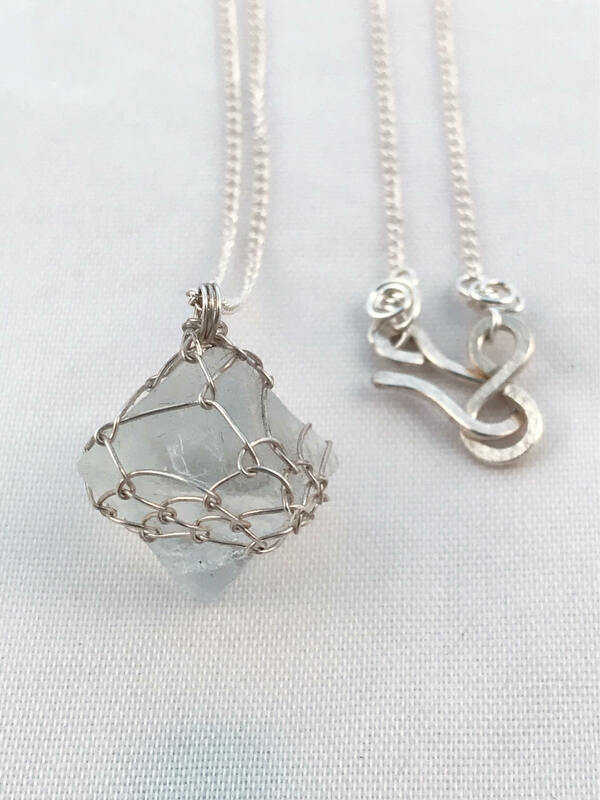 Crystal is raw and translucent with some beautiful crystal inclusions. 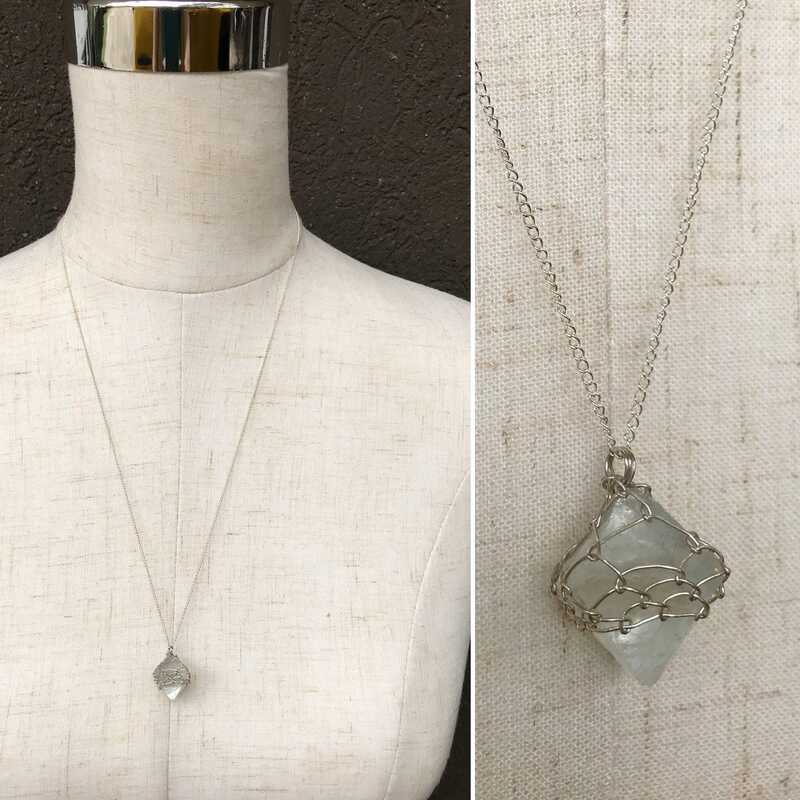 This necklace is one of a kind, you will receive the exact one shown in the photos. 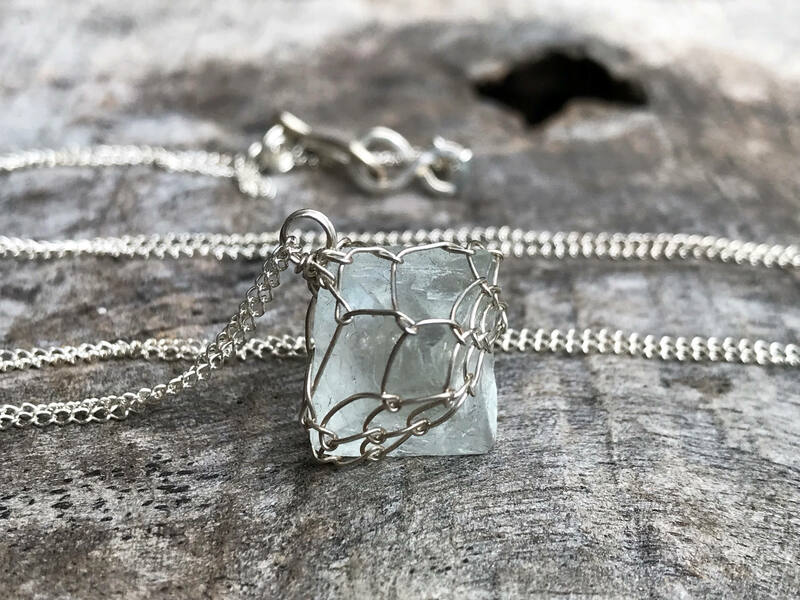 -Genuine raw pale green fluorite octahedron crystal, translucent (light can pass through) with some lovely crystal inclusions. 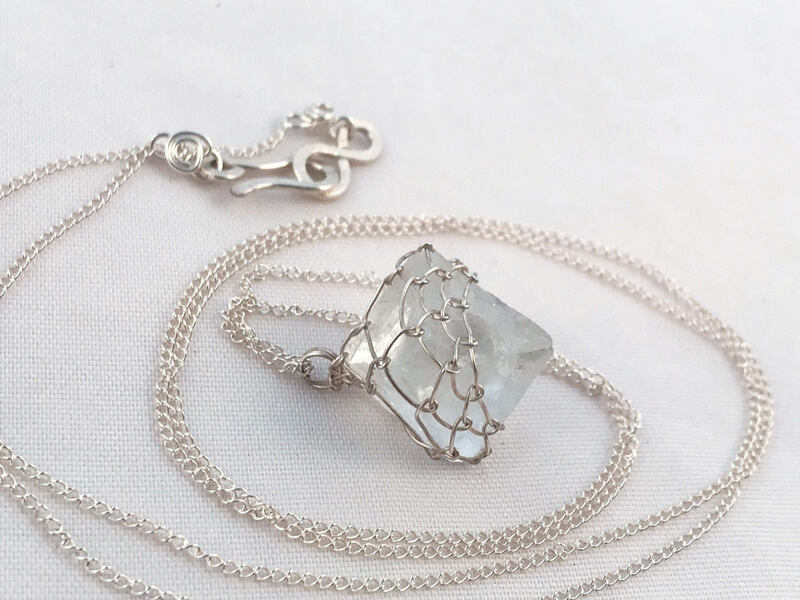 -Nested in a solid sterling silver woven wire setting which holds the stone securely. 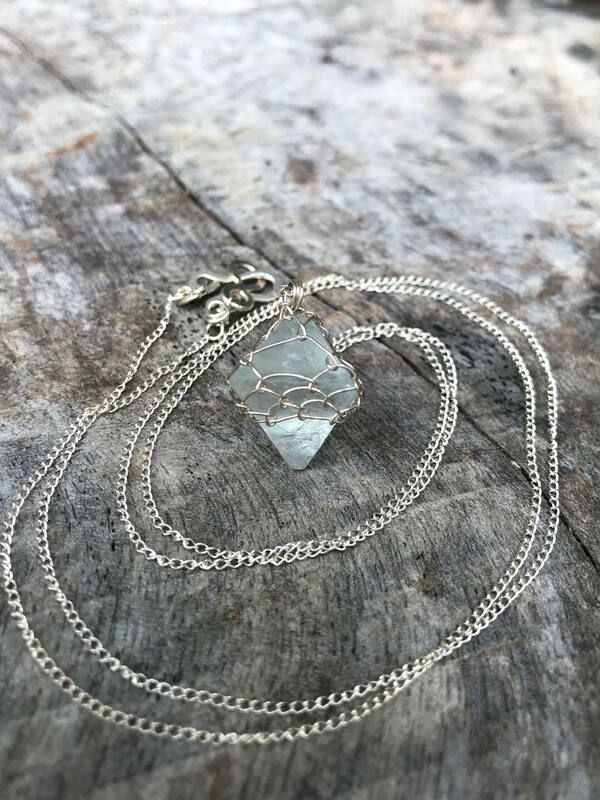 -Pendant measures 17mm (just under 3/4") length (not including the top loop, which adds about 1/8"), 17mm (just under 3/4") width at it's widest point, and 17mm (just under 3/4") deep at it's deepest point. -Pendant dangles from a 1.1mm solid sterling curb chain with hammered sterling hook and loop clasp. -Chain measures 24" in length. If you would like an alternate chain length or clasp, please message me for available options. 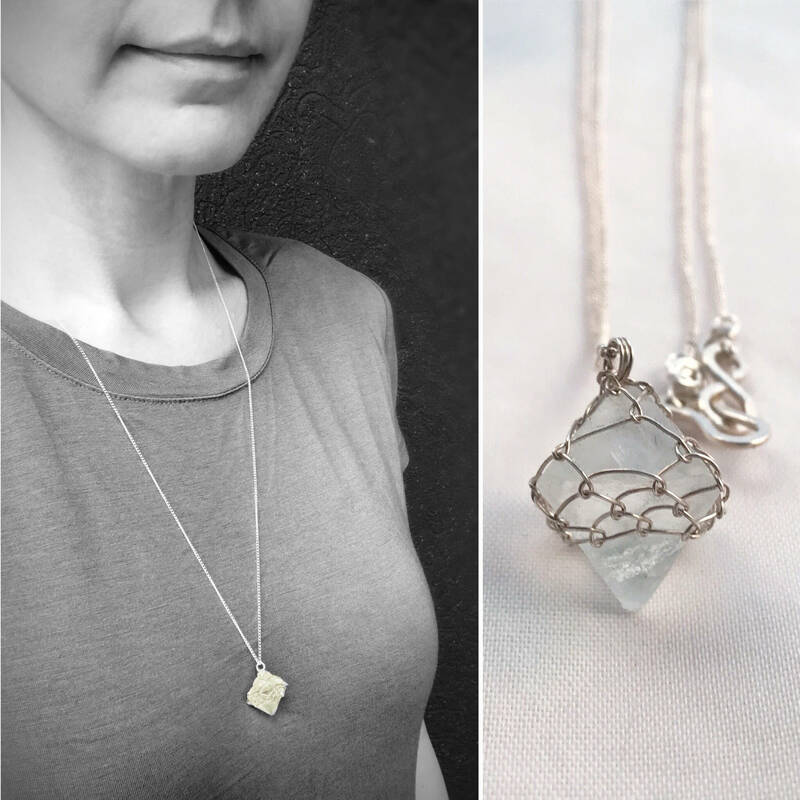 Fluorite is the mineral form of calcium fluoride, and forms naturally in cubic and octahedron shaped crystal structures, cut by miners who split the Fluorite along its natural cleave lines. Beautiful and fascinating examples of sacred geometry found in nature. Many specimens of fluorite exhibit fluorescence under ultraviolet light, a property that takes its name from fluorite. Fluorite forms in a vast array of colors and has thus been nicknamed "The most colorful mineral in the world." 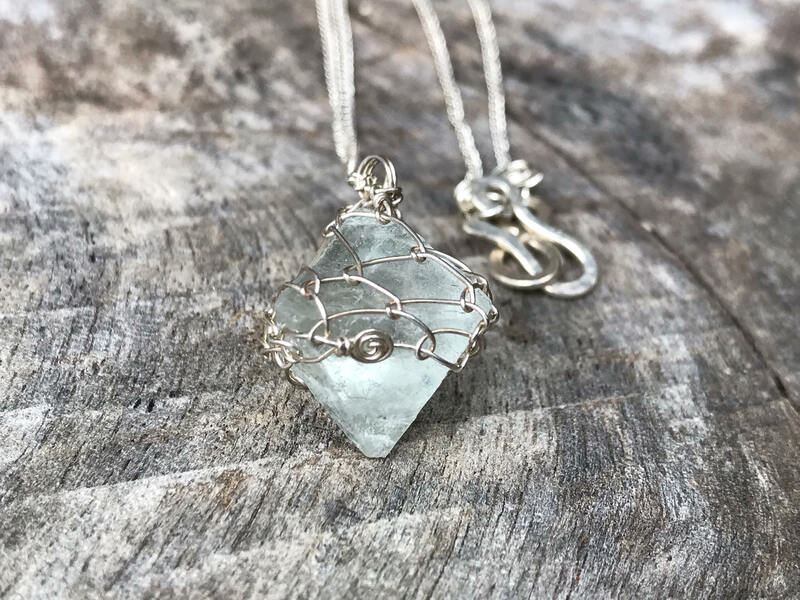 Fluorite is also known as the "Genius Stone", said to clear away negativity and clouded thinking, allowing for clarity, focus, and balancing of mind and body.